It’s all about design, ingenuity and sustainability! I'm made from paper. Yep, paper. Machine washable paper! Washable paper? That’s as intriguing as the design is attractive. The instructions are plain and simple: “wash and hang to dry” -- the best approach according to Betsy Hoying, the creator and designer behind these practical beauties. Made in Wisconsin and bred for sustainability, these totes come in a few different sizes and styles. We love the extra large ones with “beach,” or “pool” printed on the front. They scream summer! Take them to lounge at the beach or even by the poolside, and relax knowing that any surprise splashes will not harm your new prized possession. As many now know, Suffolk County has enacted a small tax on any plastic or paper bags to discourage single-use packaging. Well, the totes’ functions don’t just stop at beach bag. No, these bags are sturdy enough to handle all of your shopping needs! Whether it be at the farmer’s market or at your local supermarket, you can shop with peace of mind, knowing that these totes can handle it! You can even purchase one that says “to market,” as your designated produce bag. And yes, we could not resist having one with the name of our town, “amagansett,” made specially for us in black or white. So, be sure to stop by Vernacular Etc. this summer to pick up your very own washable tote. They are selling quick! To learn more about Betsy Hoying and the ingenuity behind her washable paper totes, read the interview below. When did you start BSimple Creations? We first started selling our totes during the summer of 2016, so almost exactly 2 years ago. Our first pop up shop was at the Barr Street Market in Fort Wayne, Indiana. How did you come up with the idea of washable paper bags? What was your inspiration behind the idea? The paper itself was like a discovery! I was consulting for a crafting company who offered the paper in their store. They sold it on rolls to their customers, mostly for scrapbooking and small sewing projects. I was fascinated by the paper because you could stitch it like fabric, wash it and throw it in the dryer. The paper remained strong and intact, but got softer with each washing. I started researching ideas online and making samples with a local pattern maker. I recruited my good friend who lived down the street from me and the next thing we knew we were setting up a booth at the local farmer’s market! Six months later we were doing wholesale trade shows in Dallas, Vegas and NYC. What was the biggest challenge you encountered while developing your product/company? What do people like most about your product? People seem to be initially attracted to the simple and classic styling of the totes, as well as the neutral colors. Then, they’re intrigued by the innovation of the paper and how strong and durable it is. Most people don’t believe the totes can be machine washed over and over again. Its fun to see their reaction. What’s really cool is that many customers come back later, after using it for a few months, and tell us it’s their favorite bag and use it everyday! What is one piece of advice you would give to an aspiring female entrepreneur? Trust your instincts. Everyone loves to weigh in on a start up business! There are always doubters and naysayers…and others who will tell you what they think you should do. Either way, don’t let it rattle you or distract you. When things get crazy, take some time to slow down, sit still and listen to your instincts. It’s your dream, your passion…trust it. We are excited to be a part of the 13th edition of a mini art fair in New York Salon Zürcher exhibiting new work by Timothy Atticus. His work was first recognized nationally at The Whitney Biennial in 2008. Atticus' numerous solo exhibitions include, most recently, ChronoChrome at Artifact in New York City and The Cross at Van der Plas Gallery in New York City. His numerous group exhibitions include: New New York, Abstract Painting in the 21st Century at the University of Hawaii in Honolulu, Timothy Atticus and Leonardo Barreto: Abstract Paintings at Van der Plas Gallery in New York City and Ren-nais-sance at Strange Loop Gallery in New York City. In a review written by Bowery Boogie's Lori Greenberg, his work is described as "...paintings [that] seem to be lit from within." 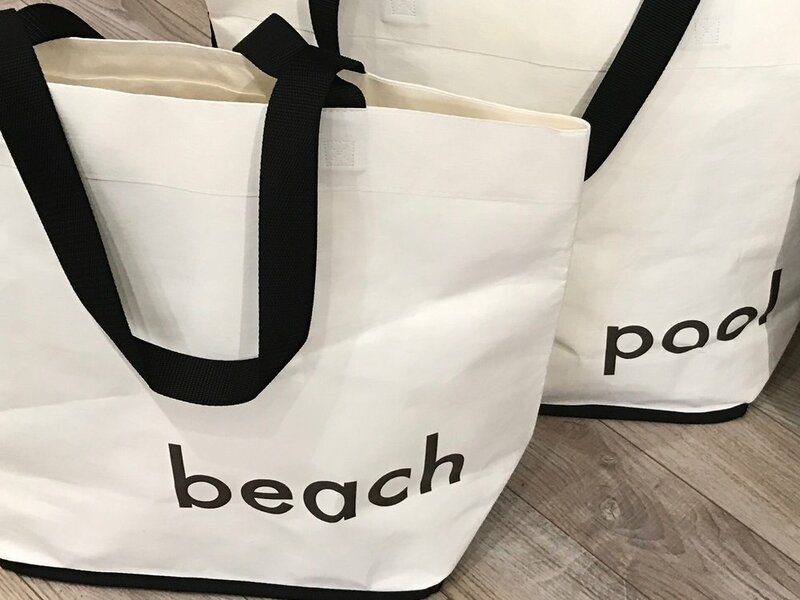 Welcome to Vernacular Etc., a small, independent store located in the Hamptons at the entrance of Amagansett Village where the concept of small is beautiful resonates with us on many levels. Small stores have a distinct quality. They offer a personal point of view with an array of products carefully selected to reflect a singular philosophy and aesthetic. According to recent article in HOUSE BEAUTIFUL (May 2015), “little shops” are going through a revival across America. Small independent stores are often edgier (we hope we are, too!) and more charming (think Paris!) and greatly contribute to a sense of community. Whether dubbed sustainable, lifestyle, unassuming luxury or indie, Amagansett is home to several independent shops and precisely for that reason we feel right at home here. Vernacular Etc. resides in the former barbershop and we fill every inch of our store with carefully curated items. Even the barber’s mirror is used to hang art! And our point of view? We like the unassuming and minimal, the bold and unexpected. We believe that these different qualities not only coexist, but also enhance one another. When we discover beauty, wit and unique craftsmanship, we showcase emerging artists and designers who create original pieces, often in limited quantities. We cultivate close relationships with the artists we support and we hope that our customers will do the same with us. Shop small stores. Stop in at Vernacular Etc. to browse and chat. And see that small is beautiful.